Fort Collins Weekly is a general-interest, magazine-style newspaper serving Fort Collins and Larimer County. With a focus on in-depth and investigative local reporting, the Weekly offers its readers an analysis and understanding of local events that cannot be found elsewhere in the region. Led by a staff of award-winning journalists and authors, the Weekly is where Fort Collins turns to learn about and understand the issues that impact the community. Publishers are using many different strategies to handle their website content. The approaches range from posting everything from the print edition to creating entirely new online content. While some publishers have hired web-specific editors and staff, other have added website management to their current staff's to-do list. Use all content, except advertising. Use totally unique content created for the website. Use a combination of print content and unique content. Unique content can be supplied by current staff, dedicated online staff or freelancers. Have only part of your publication's content available online or post only part of a current story. Include a note: "You can find more about this topic in this week's edition." Use all content, plus extras such as updated events calendars, additional photos or interactive features such reader polls and forums. Post the previous issue's content only. For example, content for the March issue is available once the April issues has been distributed. Repurposed content from the print edition, plus add a "rest of the story" from the current issue with information that wouldn't fit in the print edition. Have at least one "web extra" article such as late-breaking news. 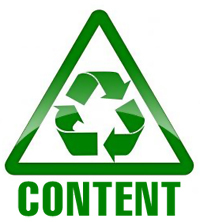 Post content shared with other publications or websites. If your publication covers home and design, your readers may be interested in restaurant reviews or financial news. Some magazines have added Wiki-style reference pages to their online offerings. Joining user-generated content, blogs and social networking sites, Wikis provide one more avenue for publishers to reach their readers. Among the first magazines using this technology are Food & Wine magazine, which offers an epicurean Wiki, and Forbes.com, which creates organizational charts for such companies as Apple, Yahoo!, and General Motors. Food & Wine's Wiki is essentially a vast guide where people can report on things like their favorite restaurants, cheese shops, or coffee bars across the U.S. In addition, people can nominate destinations for inclusion or find great places for food and wine in other cities. These passionate "foodies" are the perfect audience for this type of information exchange. Users must create a profile to participate in the Wiki. "Big cities no longer have a monopoly on talented chefs and innovative food artisans," said Food & Wine's Editor-in-Chief, Dana Cowin. "This new Wiki site combines our expertise with the discoveries of devoted local foodies to provide an in-depth guide to exciting food around the country, whether in Kansas City or San Francisco." Forbes.com Wiki calls itself an "experiment" and an "early beta" version. 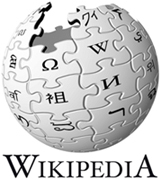 They are asking users to help define and improve the Wiki as they use it. Users can add a company or person, find a person, or edit a posting. You don't have to register to use the Wiki. The Forbes.com site includes a disclaimer that they do control the content of the Wiki postings. The name Wiki comes from the Hawaii word wiki wiki which means "quick." It is a simple piece of software (not much more than five lines of computer code) that you use to create a website that can be edited by anyone. The main advantages are that it is easy to use and allows for mass collaborative authoring. There are many different commercial Wiki systems on the market as well as numerous free software programs. The most popular Wiki is Wikipedia (www.wikipedia.org). Congress is considering several pieces of legislation that could restrict–or perhaps ban direct-to-consumer (DTC) drug advertising. This would represent a huge hit to publishers' advertising revenue. According to a study by TNS Media Intelligence, spending on DTC ads will be about $4.5 billion in 2007 alone. For the first quarter of 2007, the Publisher's Information Bureau reported Drugs & Remedies ad spending increased 13.7% over 2006–the largest increase of any major advertising category. Lori Reilly, Vice President for Policy and Research at PhRMA, a pro-industry lobbying group, said the single biggest threat comes from debate over "Prescription Drug User Fee Act" (PDUFA), which is up for renewal in September. PDUFA requires pharmaceutical companies to pay fees to support the FDA review of new drugs. This money allows the FDA to hire more staffers, thus shortening the review process. PDUFA legislation has never included any provisions regarding pharmaceutical advertising in the past. However, Senate members have appended various rules and restrictions on advertising to this year's bill. As of June 2007, a joint House-Senate conference committee is still hammering out the final version. The pharmaceutial companies argue that DTC ads serve to "educate" the public. They acknowledge that DTC ads increase the amount spent on prescription drugs but that early treatment and diagnosis reduces spending on other medical services, such as hospitalization, over time. Of most concern to both advertisers and publishers, the new bill could possibly include a two- to-three-year moratorium on DTC advertising. In addition, civil fines of $150,000–$300,000 may be levied each time a "misleading" drug ad is aired or printed. The bill may also include a "black triangle" warning–similar to cigarette warning ads. According to Reilly, delays surrounding these extra provisions to the bill may mean that there is a chance that PDUFA will not be renewed by the deadline of September 30, 2007. Reilly cautions that the whole pharmaceutical industry will be disrupted, not just its marketing arm. If PDUFA doesn't pass, she warns, the FDA's funds for drug review will dry up, new drug approvals will slow, and the FDA won't have funds to approve drug advertising. According to TNS Media Intelligence, an ad-tracking firm, advertisers spent just $35 billion on all media advertising, down 0.3 % from the same time in 2006. After these figures were released, earlier predictions of even modest growth (2.1%) in ad spending seem foolishly optimistic. "Coming into the year, marketers are faced with slowing rates of growth in the general economy, in consumer expenditures and in corporate profits," said Jon Swallen, Senior Vice President of Research at TNS. "Against this backdrop, marketers seem to have cautiously pulled in the reins on their early year advertising budgets." The top three advertisers—Procter & Gamble, AT&T, and General Motors (GM)—significantly decreased ad spending in the first quarter. GM slashed ad expenditures the most, reducing spending by 30.9%. In addition, the major ad categories—including telecom, automotive, and travel and tourism—were down by 1.1%. But there were some bright spots. Advertising spending on magazines, Internet, and outdoor advertising saw year-over-year increases compared to 2006. According to the TNS report, magazines were up overall 4.4% with consumer magazines up 7.1% and Spanish-language magazines leading the way with 14.3% growth. However, B2B, Sunday magazines, and local magazines suffered declines. Internet advertising posted a whopping 16.7% increase over 2006. This was slightly lower than the pace for 2006 but still very strong. Outdoor advertising was up by 2.4%. Newspapers took the biggest hit, with an overall 4.7% loss. National newspapers suffered the largest losses with a 5.3% decrease. Local newspapers (-4.6%) and Spanish-language newspapers (-1.9%) followed the downward trend. Alan Levy, Verified's VP for Marketing and Sales, will be attending the conference, ready to talk with you about the services and products Verified offers. Alan Levy, Verified's VP for Marketing and Sales, and James Desser, Chief Operating Officer, will be attending the conference, ready to talk with you about the services and products Verified offers. According to preliminary estimates from the Newspaper Association of America, advertising expenditures for newspaper websites increased by 22.3% to $750 million in the first quarter compared to the same period a year ago. Advertising on newspaper websites made up 7.1% of total newspaper ad spending in the first quarter compared with 5.5% for the same period a year ago. "The percentage of ad spending generated by newspaper websites continues to grow as advertisers realize the value of [this] web audience—consumers who have higher household incomes and shop online more frequently than other Internet users," stated NAA President and CEO, John F. Sturm. Advertising expenditures at newspapers and their websites totaled $10.6 billion for the first quarter of 2007, a 4.8% decrease from the same period a year earlier. Spending for print ads in newspapers totaled $9.8 billion, down 6.4% versus the same period a year earlier. "Newspapers continue to make aggressive moves to redefine classified advertising through new online partnerships and other approaches that will position them for the future," Sturm concluded. Have a question? Need advice? Like to speak your mind? Verified would like to hear from you. Our panel of experts is ready to answer questions on a wide range of topics. Email your questions to e-newsletter@verifiedaudit.com . Each month, Viewpoint will select a few questions from those submitted. We'll give you the latest information, help you find articles and resources, or provide you with necessary strategies and techniques. Speak up! This is your opportunity to be heard.